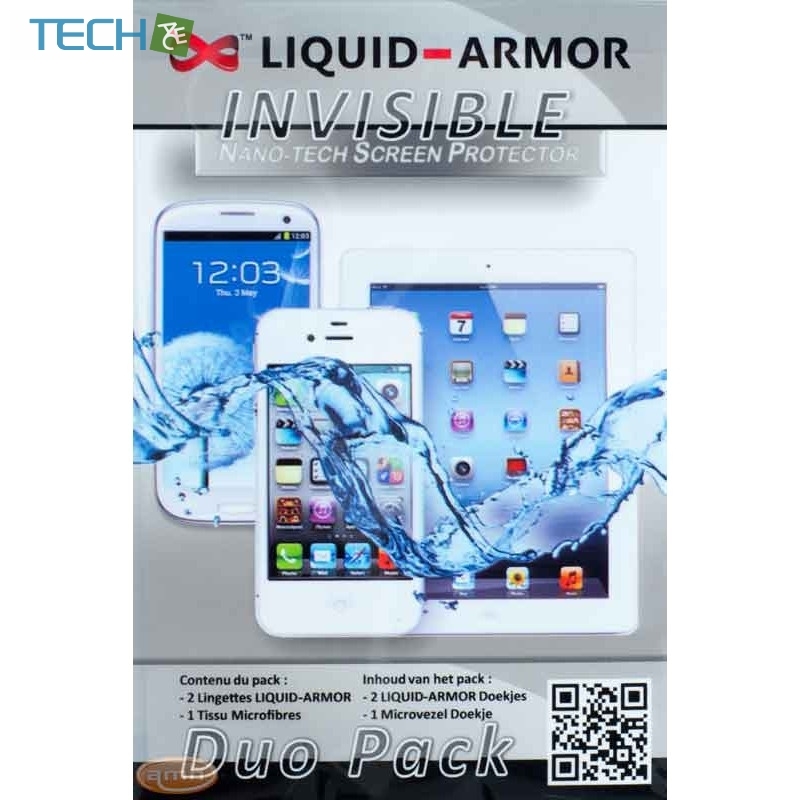 LIQUID-ARMOR a remarkable Nano coating technology that shines and protects your portable device screen like nothing else! One simple application of LIQUID-ARMOR with unique anti-static and weather- resistant formula will repel dust and stains or up to 6 months! 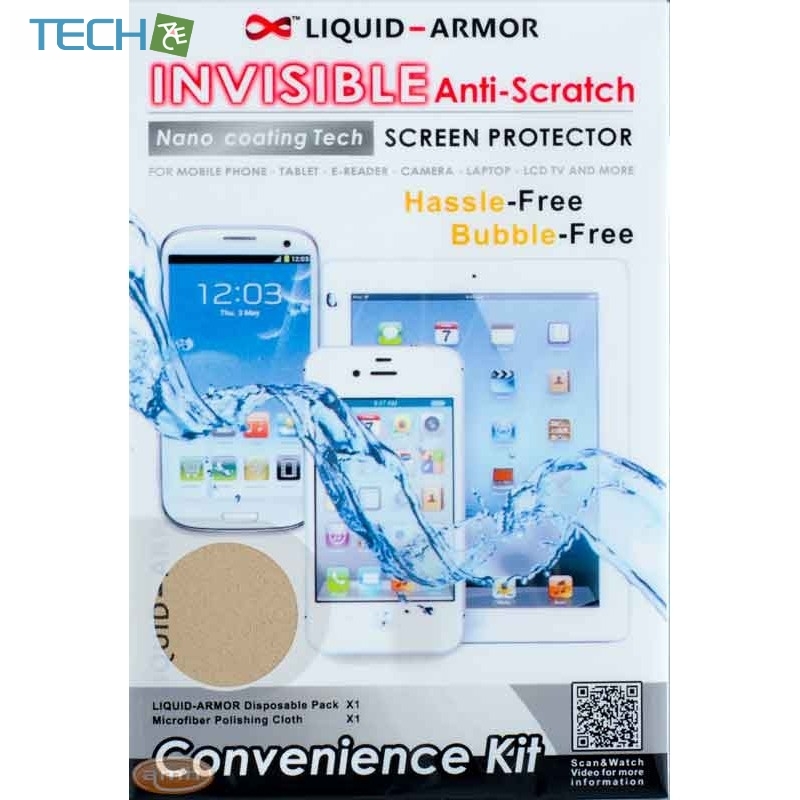 Provides scratch-resistant surface for normal wear and tear.Screen protection up to 2x stronger than traditional screen protection film.Preserves touch screen sensitivity sharpness and vividness of screen display.Anti-Static / High GlossWater spill-resistantSmooth, dirt repellent surface.Best to protect any glasses of Smartphone, Tablet PC, LCD/LED (Camera, Laptop, TV) Screen without size boundary. 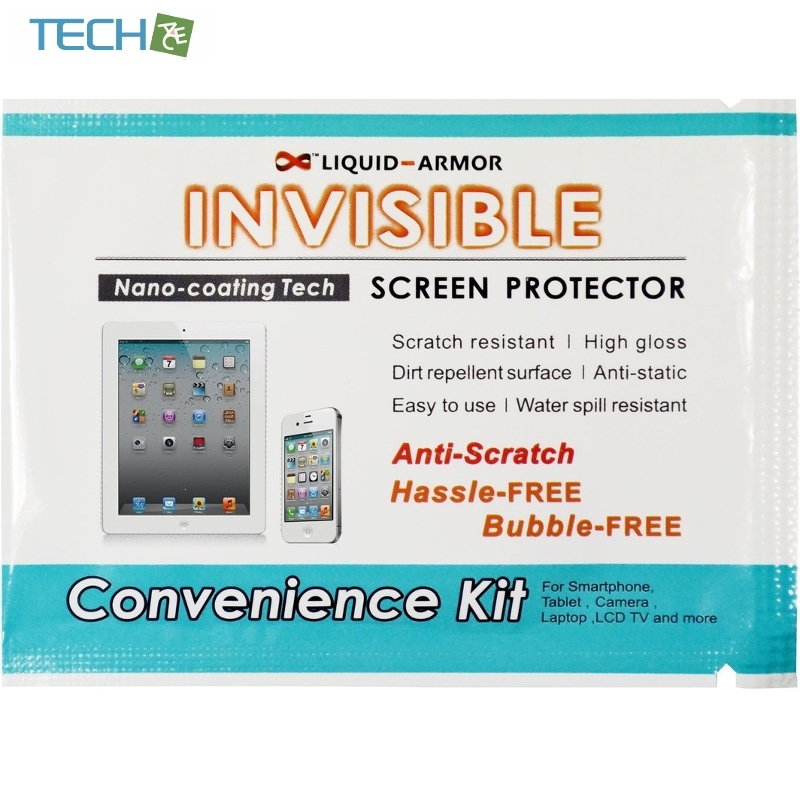 Liquid-Armor is a unique nano-technology coating that is formulated to enhance the resistance of scratching of the glass screen mainly on electronic devices. It is designed to limit damage resulting from incidental contact with items that typically scratch the viewing glass surface of your device. 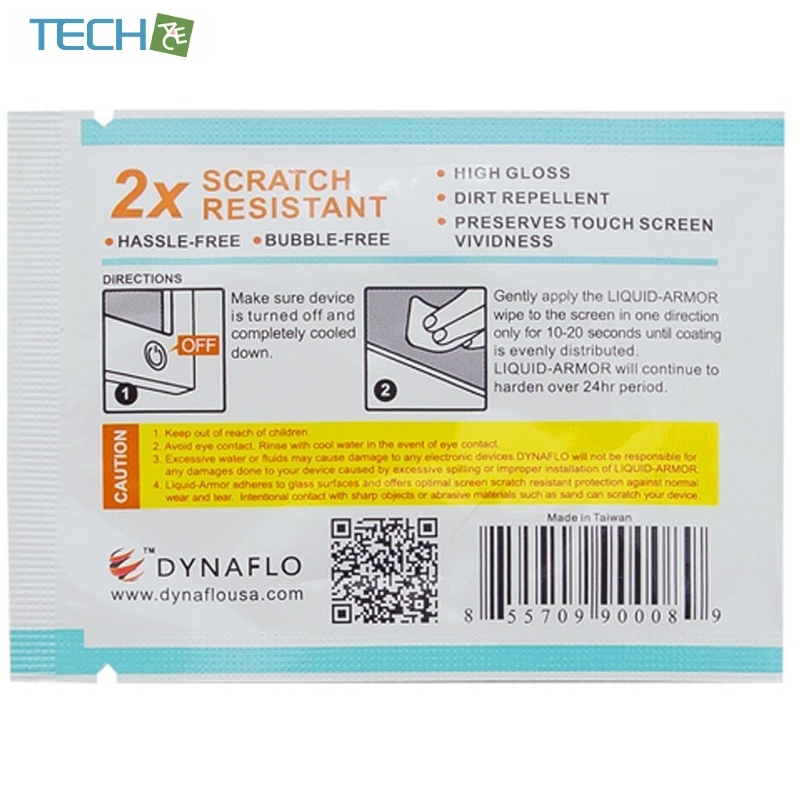 Dynaflo does not warrant that the application of the Liquid-Armor coating on your device will prevent deep scratches or galling as a result of deliberate or inadvertent contact with sharp edges or abrasive materials. Liquid-Armor is warranted only for the uses and conditions as stated above. 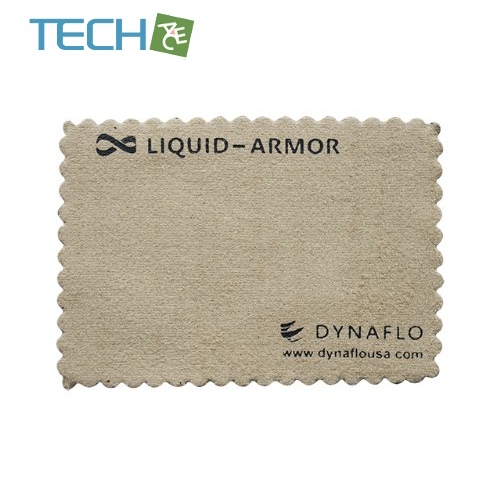 Dynaflo will not assume any responsibility nor warrant Liquid-Armor if the product is used for any application other than for which it is intended. The above terms are valid if Liquid-Armor is applied and is used as directed. All other uses of Liquid-Armor void this warranty. We warrant that Liquid-Armor, when applied in accordance with our guidelines, will not damage your device. We are not responsible for any damage which may occur to your device as a result of a failure to follow the application guidelines noted elsewhere on the Application Instructions page.